Every year, hikers from around the world flock to Peru to embark on one of the world-famous treks to Machu Picchu. While the most well-known trek is the Inca Trail, a handful of other treks are beginning to burgeon in popularity. Among the Inca Trail alternative treks, the Salkantay Trek to Machu Picchu is one of the most visually stunning and physically demanding. But, if you’re up for the challenge, it can also be one of the most rewarding. With its varied altitude and rural pathways, the trek spans several types of terrain in some rugged areas of the Andes. 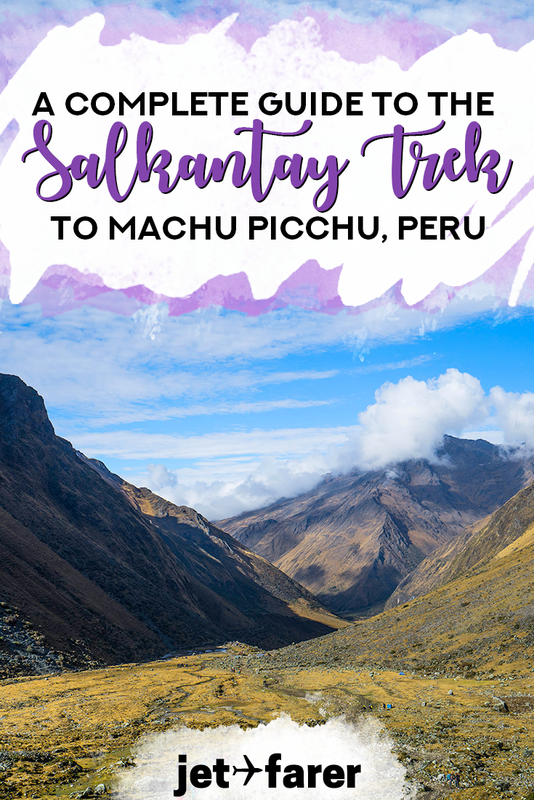 If you’re considering a multi-day trek to Machu Picchu, read on to learn everything you’ll need to know about the Salkantay Trek to Machu Picchu. How Long is the Salkantay Trek Distance? What is the Salkantay Trek Elevation? What is the Salkantay Trek Difficulty? What is the Typical Salkantay Trek Price? Which is the Best Salkantay Trekking Company? The Salkantay Trek distance ranges from 48-70 km (30-43 miles), spread out accordingly over 3-5 days. However, not all days are created equal. While the first day is generally shorter, at ~8-14 kilometers (depending on whether you go up to Humantay Lake or not), the longer days can range from 24-26 km of hiking. 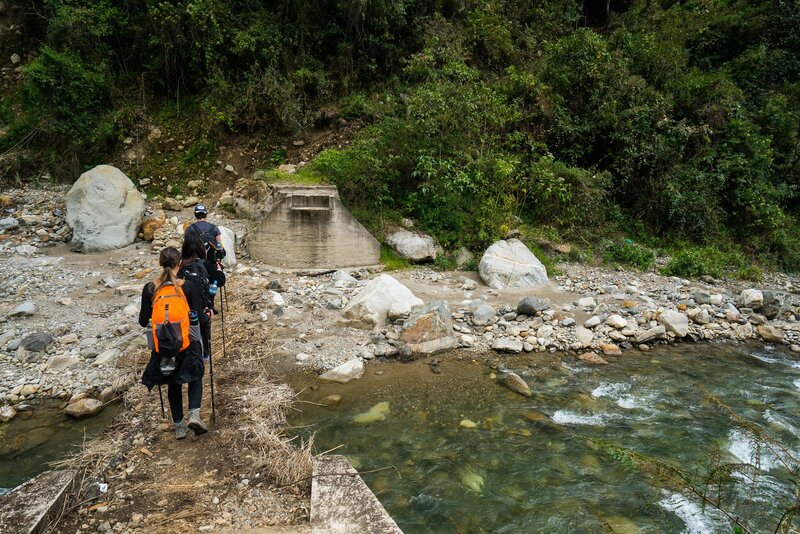 However, there are different options to decrease the Salkantay Trek distance for those who do not want to hike the whole thing, including horse rentals or taking a train from Hydroelectric Station to Aguas Calientes. With its wide variety of terrains, the Salkantay Trek elevation ranges from 1,600 to 4,650 meters (~5,250-15,255 feet). Although the elevation varies significantly, you’ll start up higher and gradually work your way downhill. Before the trek, I highly recommend taking 1-2 days at a minimum to acclimatize in Cusco, as the maximum Salkantay Trek elevation is significantly higher than in the city. The Salkantay Trek difficulty is moderate to difficult, but is attainable for most people with some hiking experience. Although it is accessible to most levels of hikers with good fitness levels, the altitude, length of trekking each day, and tough uphill/downhill stretches definitely increase the difficulty of this hike. 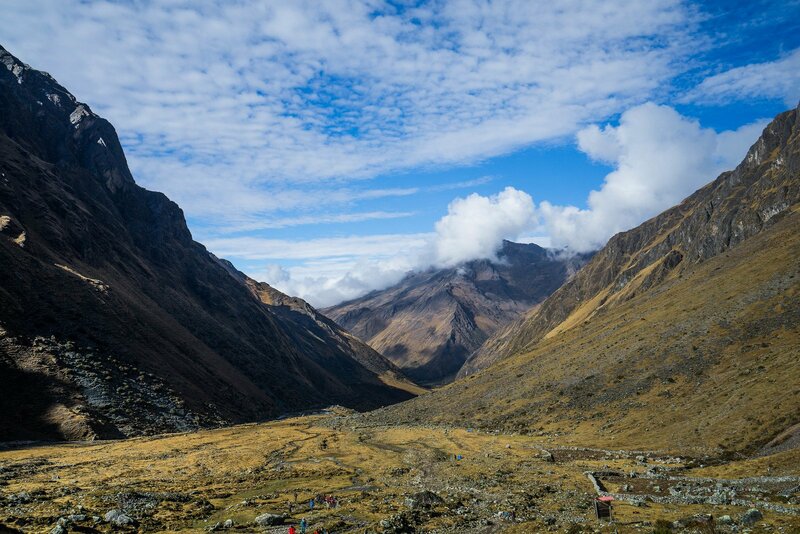 We recommend being fully acclimatized to the altitude before embarking on the Salkantay Trek. On average, the Salkantay Trek price typically runs from $250-450, depending on the number of days of the trek, and whether you book online or in person. This price usually includes lodging, accommodation, and luggage storage/transport for the duration of the tour. As you probably gathered from the wide range of pricing, the accommodations on the trails range from bare-bones to fairly luxurious. If you’d like extras like renting a sleeping bag or trekking poles, it will cost you a little bit more. When I was researching the Salkantay Trek price, I learned that it can be much cheaper if you book in Cusco. If you’re on a strict budget, this might be your best bet. However, despite knowing that it would be cheaper to book once I arrived, I decided to book online to secure my spot and go with a trustworthy, reputable trekking company. In the end, I found that it was worth paying a higher price for the Salkantay Trek for the security an guaranteed good experience I had, especially as a solo traveler. *Some of the recommendations we’ve provided below may include affiliate links. If you make a purchase from these links, Jetfarer may receive a small commission at no additional cost to you. Waterproof hiking boots – I have the Ahnu Montara Waterproof boots and I adore them (men’s version here). Although there are several options for tour operators that offer Salkantay treks, I used Salkantay Trekking and had a fantastic experience. The trek I did was a little bit more expensive than if I had booked in person, but it was worth it. Our guide, Odi, was fabulous, the food was locally-prepared and delicious, and our accommodations were really interesting and beautiful. Heading to Peru? Check out our Peru Destination Guide for all of the most pertinent information to plan your trip! After a very early morning pickup, your driver and guide will take you a few hours to being your trek. After some gradual inclines and slopes, you’ll arrive at Soraypampa, the area of your first campsite. From here, some tour operators will take you on an out-and-back hike up to Humantay Lake, a beautiful turquoise alpine lake higher in the mountains. You’ll descend down to Soraypampa and spend the first night here. The next day is one of the most beautiful. You’ll rise with the sun, first hiking up to the alpine terrain of the Salkantay Pass. Then, you’ll descend down into the cloud forests, where you’ll spend the night in a small town on the side of the mountain, and awake with the sounds of the birds. The next few days vary a bit depending on the length of your trek. You’ll likely explore the cloud forest, enjoy a coffee plantation, pass by the Hidroelectrica station, and make your way to Aguas Calientes. Your last day is fully dedicated to exploring Machu Picchu. Get up early and hike or take the bus to the entrance, where you’ll be able to explore the ruins. Afterward, you’ll spend some time hanging out in Aguas Calientes. Finally, you’ll take the evening train back to Ollantaytambo, where you’ll make your way back to Cusco. Overall, the Salkantay Trek is a memorable, challenging, and jaw-dropping hike that any outdoor or adventure enthusiast would love. If you’re looking for an experience you’ll never forget, and landscapes like none other, the Salkantay Trek definitely won’t disappoint. Need more inspiration? Here are some photos that might inspire you to trek the Salkantay, and our side-by-side comparison of the Salkantay and the Inca Trail. Worried about the elevation? Read our tips on how to avoid altitude sickness. Acclimatizing in Cusco? Check out our suggestions for things to do in Cusco, or kick back and relax in the cutest boutique hotel ever. Have some extra days in the area? Try these awesome day trips from Cusco. And don’t forget your travel insurance! We recommend World Nomads as our preferred provider.